Ubar Grotto members are known for being men of style. They can rock a sock / sandal combination better than anyone and let’s not forget the glorious pale calves that many of our members show off during the summer months. 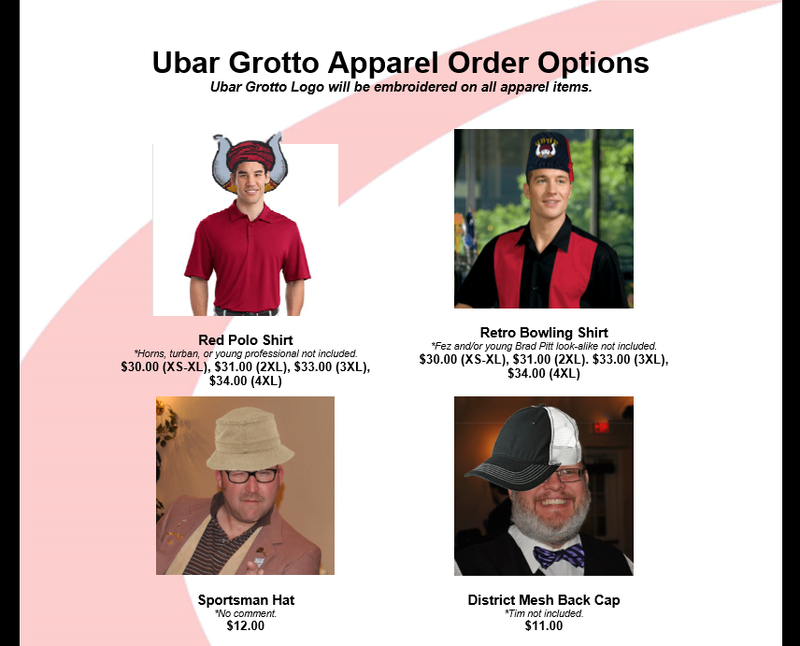 Now, you too can show off your Grotto spirit and pride with the lastest Ubar Grotto Apparel. Just click here to download an order form. Please note that orders are due at the June Stated Meeting! No, wear did I put those jean shorts… hmmmm…..
← Are you a Turtle?